A retrofit of the Jackson County Courthouse in 1983-84 caused asbestos dust to be dispersed throughout the landmark structure, according to a class-action lawsuit that was settled Tuesday. This story was updated at 3:10 p.m. to include a statement from the CEO of U.S. Engineering. 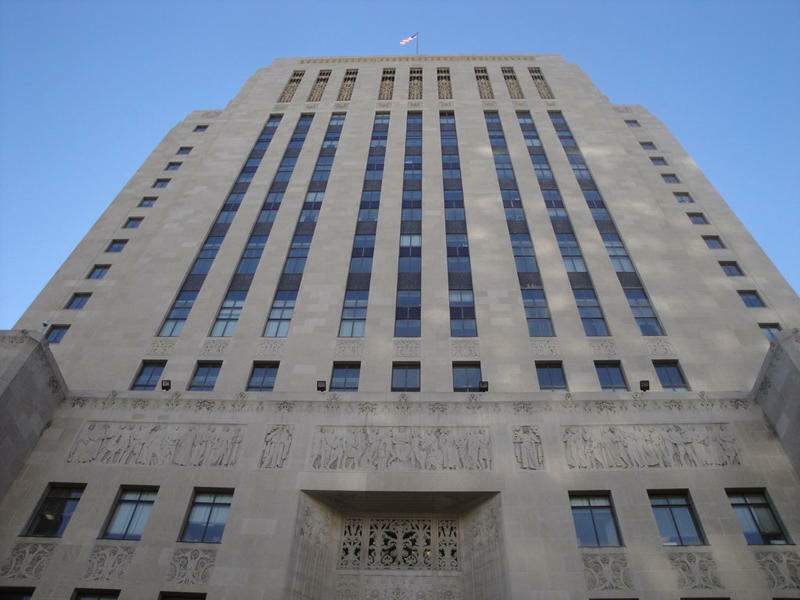 Up to 7,500 people who worked in the Jackson County Courthouse after a retrofit dispersed asbestos throughout the building will be eligible for medical monitoring under an $80 million settlement reached Tuesday night. The settlement was agreed to after a jury was chosen but before the class-action case was scheduled to go to trial today at the University of Missouri-Kansas City School of Law. The $80 million will be used to test people who worked in the courthouse for mesothelioma and other asbestos-related diseases over the next 30 years. The money will be paid by insurers for the principal defendant, U.S. Engineering, and will not involve taxpayer dollars. Jackson County was also a defendant in the case, but an agreement was reached to dismiss it in the event a settlement was reached with U.S. Engineering. Lopez was an administrative assistant to a Jackson County judge. She died of mesothelioma in 2010 at age 56. Her family filed a wrongful death action against U.S. Engineering and settled the case in 2011 for $10.4 million. The class-action case was filed in 2010 by two now-former courthouse workers and alleged that U.S. Engineering and Jackson County negligently failed to prevent the spread of asbestos dust in the courthouse. U.S. Engineering had contracted with the county to renovate and repair the Depression-era building’s air-handling units and pipes, which were wrapped with insulation containing asbestos. The plaintiffs claimed the air handling units were not turned off during the project, which took place in 1983 and 1984, resulting in thick layers of asbestos dust being deposited throughout the landmark structure. The case was dealt a blow when a trial judge declined to certify it as a class action, finding that individual issues predominated over common ones. But last year, the Missouri Court of Appeals overturned that decision, ruling that the judge had misinterpreted the law. That set the stage for the trial that was averted by Tuesday’s settlement. Members of the class consist of people who worked in the building during and after the retrofit and people who spent 80 or more hours a year in the building. Once the settlement is made final, would-be class members who prove they satisfy those conditions will be eligible for medical monitoring for asbestos-related diseases over the next 30 years. The medical monitoring will be performed by the University of Kansas Medical Center. In a statement Wednesday afternoon, Tyler Nottberg, CEO of U.S. Engineering, said that the case related to a project performed nearly 35 years ago. "At that time, as always, we complied with relevant industry and regulatory safety standards in the performance of our work," Nottberg said. The Jackson County Executive’s office also released a statement, saying it was pleased with the lawsuit’s resolution. It said that air quality testing conducted in 2010 and afterward confirmed that the courthouse’s air quality is now safe and meets regulatory guidelines. Thousands of Missouri residents who may have been exposed to asbestos in the Jackson County Courthouse over more than three decades will now get their day in court. 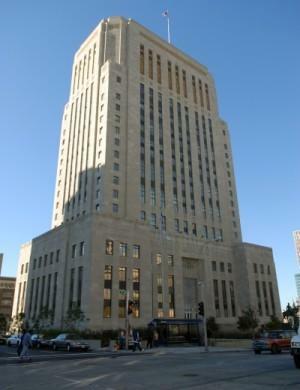 The Missouri Court of Appeals on Tuesday overturned a lower court’s decision declining to certify a class consisting of Missourians who worked at the courthouse during and after the courthouse’s renovation in 1983 and 1984.